Objective: Transfer Clinker into three (3) separate locations along the conveyor. Challenge: Transfer Clinker into three (3) separate locations along the conveyor. The Customer needed the ability to convey clinker into their bins as needed. This would only be possible using this method or a tripper conveyor. The tripper conveyor would be extremely expensive and would have taken months to design, fabricate, and install. Adding the ASGCO® Lift Bed – Diverter Plows™ was cost effective and was able to be installed in a matter of weeks. Solutions: After obtaining some preliminary information such as belt speed, tons per hour, and locations, ASGCO® designed the diverter plow and lift bed utilizing 3-DEM® modeling to ensure all of the clinker would be plowed off at the designated locations. This would require two Lift Bed – Diverter Plows as well as a head discharge to allow all (3) three clinker bins to be filled. Results: After a day of installation the customer was able to run clinker on this system and activate each diverter plow individually to fill their clinker bins. Each lift bed was fully integrated into the PLC which made all functions able to be performed from the control room. A local activation switch was also provided for ease of testing. 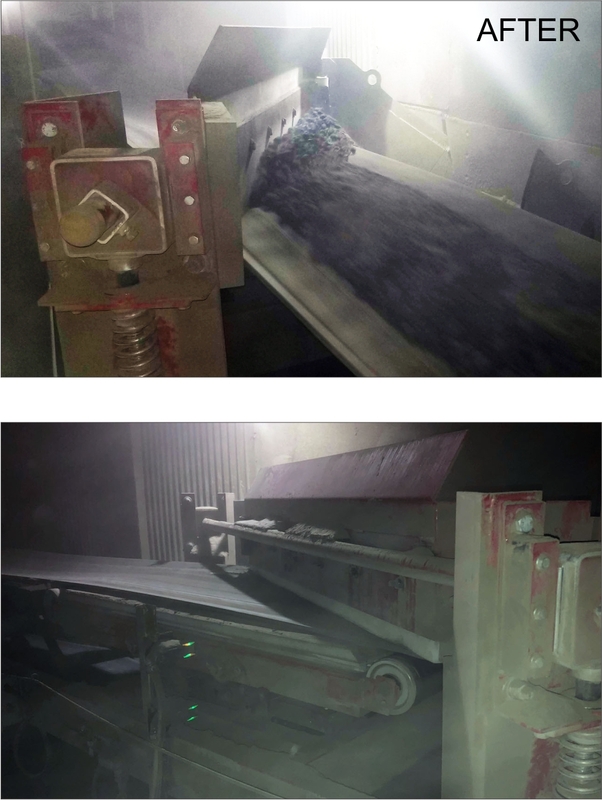 Overall the ASGCO® diverter bed ensured this cement manufacturer was able to continue production with minimal downtime for the installation and with excellent performance from the ASGCO® Lift Bed – Diverter Plow.